If you’re looking for a clean and practical approach to your laundry space, then the Benchline 70 Litre Laundry Sink is just the answer. 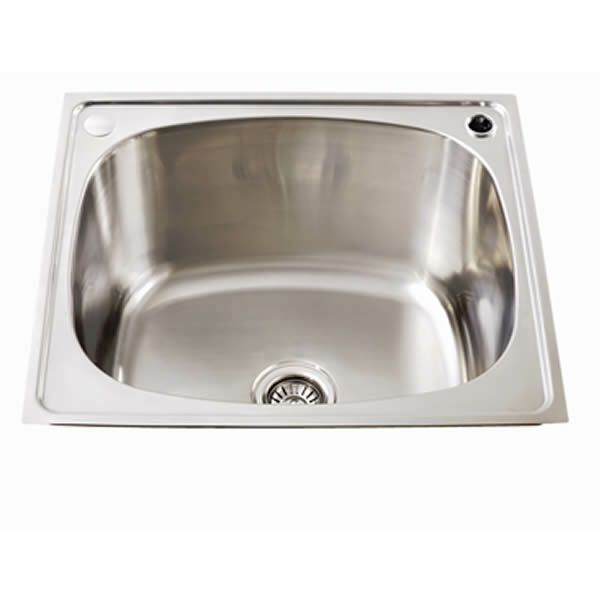 As an insert sink, it allows you to maximise your bench space when you perform your laundry duties. 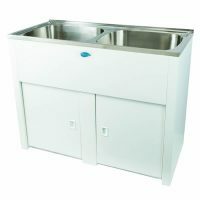 The Benchline 70 Litre Laundry Sink is a quality product offered by Everhard Industries. It is manufactured using stainless steel and has a capacity of 70 litres – it is more than capable of handling all your laundry duties. It measures 638x564x322mm and also includes a 90mm basket waste. It features a single bypass assembly and is designed for easy installation. Simply use the template on the product carton to create a cut out in your benchtop and this sink will slip and fit in your laundry perfectly. 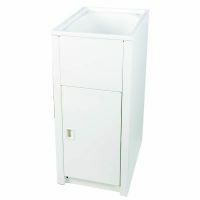 Everhard is a reputed Australian manufacturer and the Benchline 70 Litre Laundry Sink is a superior quality product. When you purchase this laundry sink, you will have complete peace of mind given that Everhard offers a 25-year warranty on the stainless steel sink and a 1-year warranty on the basket waste. Organise your laundry area by adding the Benchline Laundry Sink to your home. This Everhard product is one of the most popular at Ross’s Discount Home Centre. 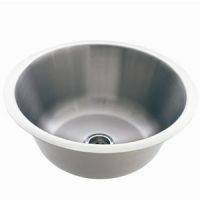 There’s really no need to delay your purchase – buy this laundry sink today!